IBM i is celebrating 30 years of incredible innovation from our clients, partners, and IBM! This session celebrates the innovations and the innovators; what IBM has provided and what clients have accomplished with them. What is the next great innovation? More than many other platforms, the integrated nature of IBM i provides companies with a strong foundation for growing into the future. Prepare to be amazed by some of the incredible IBM i customer stories from all over the world. 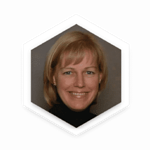 Alison Butterill is the WW Product Offering Manager for IBM i. In this role, she works with the IBM i team to define the future of IBM i including the content for releases and technology refreshes. Her responsibilities include working with the IBM i sales, marketing, development teams as well as clients and partners to ensure that the IBM i Operating System and associated software products reflect their requirements. Having worked in the mid-range area for more than 30 years, Alison has held a wide variety of positions at IBM, primarily with midrange servers and software. She has held a range of positions including field Systems Engineer, an instructor in Customer Technical Education, national support representative for IBM Canada, and Worldwide Technical Marketing support representative for the development tools and compilers from the IBM Toronto Laboratory. Alison is a regular speaker at industry and technical conferences around the world.